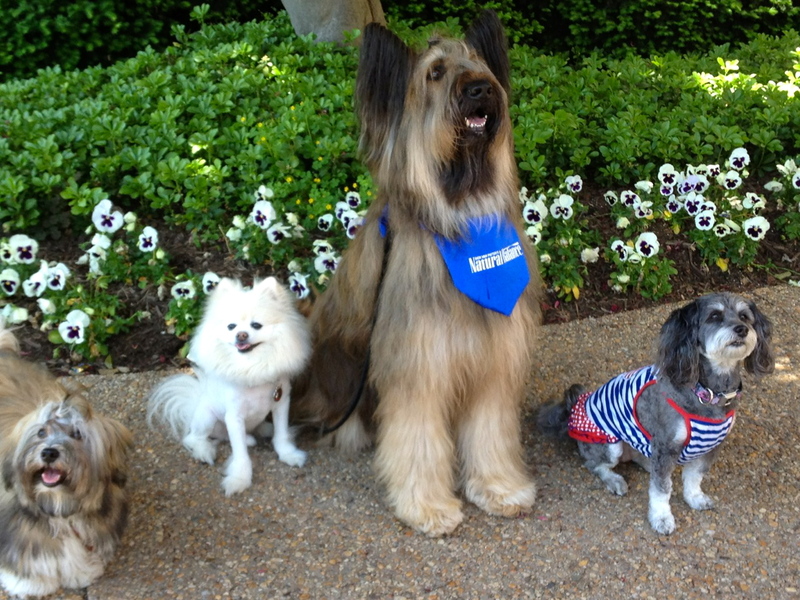 To Dog With Love: Wordless Wednesday: Photo shoot! Rocco, left, learns to pose with his trick dog pals Preston Casanova, Norman Scooter Dog and Jasmine at BlogPaws. Some folks thought Rocco and Norman were they same type of dog. Silly! The only thing they share is smarts... and cutes! Norman is a Briard, a French herding dog. Rocco, like Jasmine, is a Havanese, a descendent of breeds brought from Spain to Cuba where they evolved from pampered lap dogs of the aristocracy to companion dogs and herders of the family's poultry flock! 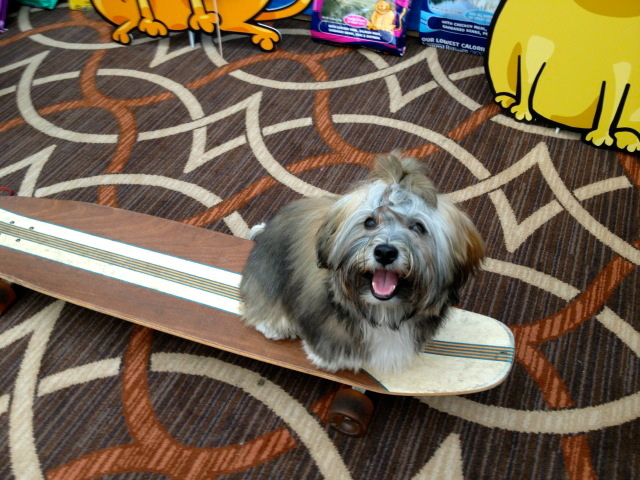 ... the evolution continues as Rocco learns to be the next skateboarding dog! So cute Rocco! Let us know once you learn your first skateboarding trick! Great photos, such a bunch of cuties. I can't get over that face! And I thought my Alex, rest his soul, was cute...Rocco is one classy pup!!! I know he makes you proud Mummy!! Rocco is so cute and fluffy. Does Jasmine just have a stylish (girly) haircut? Good luck with skateboarding Rocco! It was so great to meet you at the conference. I was a bit overwhelmed at that point but was glad I made an effort to say hello. Rocco's a cutie. Rocco is such an adorable pup! 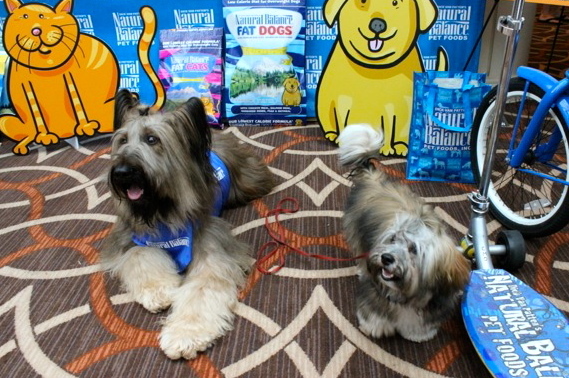 It was absolutely fantastic to see you again at BlogPaws! Too cute! Rocco and Norman have the same long beautiful fur. I can see how Rocco could be mistaken for a puppy version of a Briard. They have a similar fur look but other than that, no, obviously not related! Good luck with the skateboarding. That Norman was pawsome with his tricks!